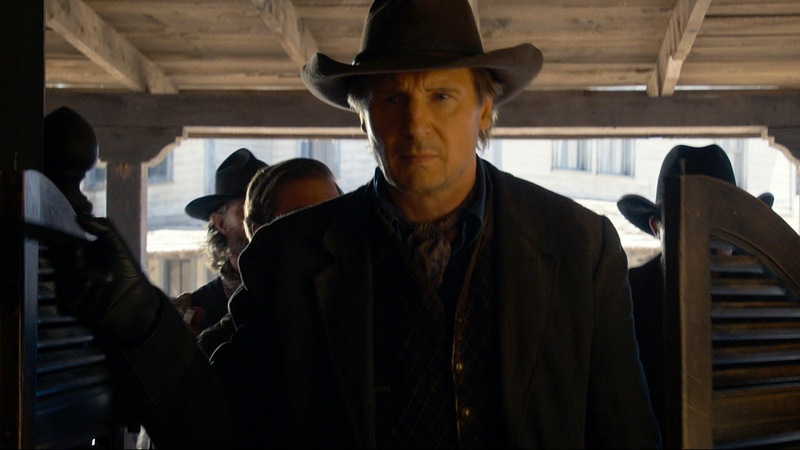 "A Million Ways to Die in the West" is akin to the comedy films of yore. It's vibe more like a Leslie Nielsen film ("The Naked Gun") when it came to its jokes and cameos. It's not a bad thing, in fact, it gives the film a much needed boost in its novelty. As it turns out, the film struggles to be something substantial. Seth MacFarlane's first foray into a live action comedy film is more disappointing than amusing. 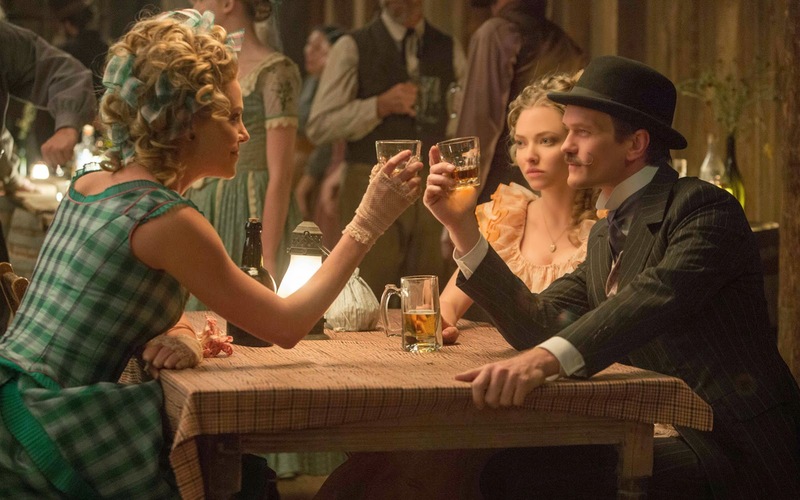 After sheep farmer Albert (Seth MacFarlane) backs out of a gunfight, his fickle girlfriend, Louise (Amanda Seyfried) leaves him for another man. When a mysterious and beautiful woman named Anna (Charlize Theron) rides into town, she helps him find his courage and they begin to fall in love. But when her husband (Liam Neeson), a notorious outlaw, arrives seeking revenge, the farmer must put his newfound courage to the test. We hate to say this but "A Million Ways to Die in the West" left us disappointed and the biggest problem was its director and lead actor Seth MacFarlane. His first foray into live action isn't as memorable as his past performances as MacFarlane looked awkward and struggling without the veil of an animated character. Worse though, jokes and scenarios seems to fall flat half of the time. Mind you, some quips are truly funny but it's not on par with the usual comedic chops we get to experience from MacFarlane. We did like the jarring cameos that had surprises of their own and jokes that are more modern than the Western setting. Overall though, "A Million Ways to Die in the West" does not get any benefits from any beginner's luck. The end product is awkward at best and definitely a by-product of a first try from one of the most talented guys in entertainment.